When Community Energy Solar came to Terracon with a significant foundation concern for the largest solar project in Minnesota, the North Star Solar Project, the Terracon team recommended a solution which ultimately saved the client millions of dollars. 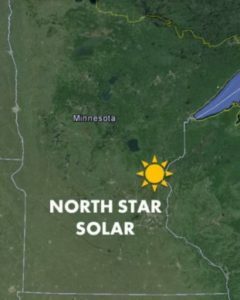 The North Star Solar Project, a 100-megawatt solar energy facility located on approximately 800 acres in Chisago County, Minn., had an estimated development cost of $180 million. Now completed, the project generates enough energy to power approximately 20,000 homes. The location was chosen because of its convenience to existing electrical infrastructure allowing the project to generate low-cost solar energy for Minnesota rate payers. Unfortunately, this convenience came at a price; the location couldn’t have been more challenging from a geotechnical perspective. During Minnesota winters the ground at the project location is prone to a phenomenon known as frost heave. Once a hard freeze happens, susceptible soils that include a water source (pore water and groundwater) develop a frost front which penetrates the soil and freezes the pore water. This causes expansion and eventually leads to an ice lens which pushes upward displacing soil. Once the water source is depleted, the frost front moves further down into the soil until another water source is found. This process can continue repeatedly throughout the winter. This occurs in areas known as frost zones, and it can extend to a depth of about 5 feet. This repetitive motion called “ice jacking” can displace, or lift, solar foundations. Over the course of multiple winters, several inches to more than a foot of displacement can occur. The most common condition for this displacement to occur is with fine-grain silty soils with shallow ground water. The North Star site had both. “Terracon’s approach was instrumental in “de-risking” the project. The focused geotechnical study the team created allowed our general contractor to develop a low- to moderate-risk design which not only saved us money but eliminated the need for a substantial additional cost.” – Sam Sours, Regional Development Director, Community Energy Solar. One way to mitigate the displacement caused by ice jacking is to design a deeper foundation; upwards of 20 feet deep. Typical foundations for solar projects range between 6 and 10 feet of depth. We were provided the results of a geotechnical investigation performed at the site identifying fine grained soil, potentially requiring foundations to a depth of 16 feet; about twice as deep as for a typical project. With approximately 100,000 individual foundations, the project cost would have been approximately $8 million more than what the client had budgeted. When our team was asked to review the situation, we developed a creative alternative by focusing on what mattered; the frost zone. First, the team completed 85 shallow borings throughout the site to a depth of 5 feet. The objective: to provide additional clarity regarding the characteristics of the soils in the frost zone. Our soil borings and associated classification and grain size laboratory testing allowed us to determine only 15 percent of the total project footprint was prone to significant ice jacking. Terracon provided additional data with a thorough site characterization exploration which offered an alternative solution for the contractor and the client to consider: a foundation design which was two feet shallower than what was originally designed. This resulted in the client saving $5 million compared to other solutions being considered at the time. 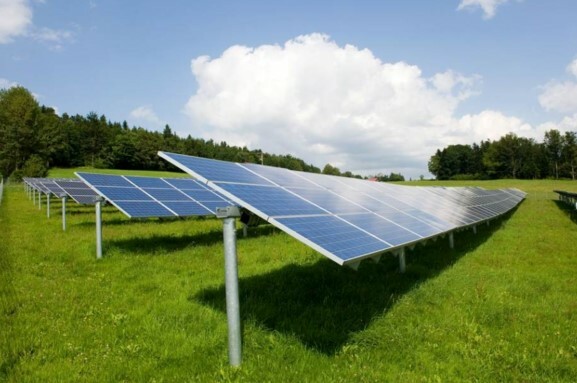 Terracon continues to build upon experience in the field of solar power plant foundation design. We continually strive to provide exceptional service and value for clients by fully understanding their problems and developing unique solutions to solve them. Blair Loftis is national director of power generation and transmission based in our Portland, Ore., office. He is responsible for coordinating the company’s professional services and technical expertise to assist solar and wind energy clients. Blair has worked in the energy sector for the past 19 years, and prior to that time, he spent a decade in the construction industry. He credits Brett Larsen of our White Bear Lake, Minn., office and Joe Waxse from our Lenexa, Kan., office for collaborating on a cost-effective solution for this client.